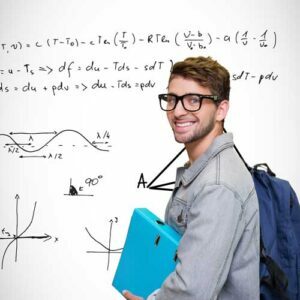 Taking the Cooperative Admissions (COOP) Exam? We can help! 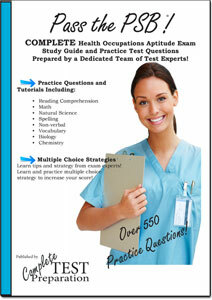 Everything you Need for COOP Test Prep! 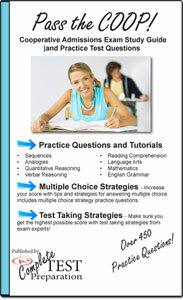 Free online practice questions, exam registration information, Test FAQs, COOP Exam Prep, Multiple Choice Tips and Multiple Choice Strategy, Test Taking Tips, plus a complete COOP test prep books, study guide and practice tests in every format – PDF download, Kindle, ebook and iBooks. This test places students in some Catholic high schools within the network of the Archdiocese of Newark and the Diocese of Paterson. The schools under the Archdiocese of Newark are mainly located in the counties of Essex, Hudson, Union, Bergen and Rockland while those under the Diocese of Paterson are in the counties of Passaic, Sussex and Morris. See also hspt exam. The structure and measuring potential of the COOP Test is similar to an IQ test. The COOP exam has ten units. High school students wishing to take the COOP exam must submit an application available online at the Cooperative Admissions Examination web site. The tests will be held in selected test centers within Diocese of Paterson and the Archdiocese of Newark. The exam usually comes up once towards the end of the year. 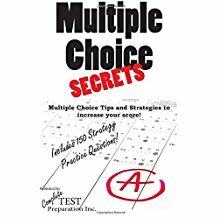 Complete COOP Exam Study Guide including hundreds of pages of Tutorials, Self-Assessments, test prep 2 sets of practice test questions, over 450 Practice Exam Questions for Reading Comprehension, Sequences, Analogies, Quantitative Reasoning, Verbal Reasoning, Language Arts, Mathematics and English Grammar. Order Printable PDF Download Version PDF Version of Printed Version. Download after purchase. No Shipping! No Waiting! 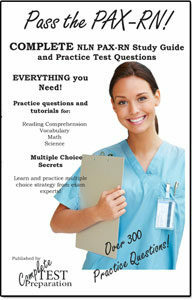 It's all that you need to pass the test, nice book. The makers and administrators of the COOP exam are not involved in the production of, and do not endorse this publication.